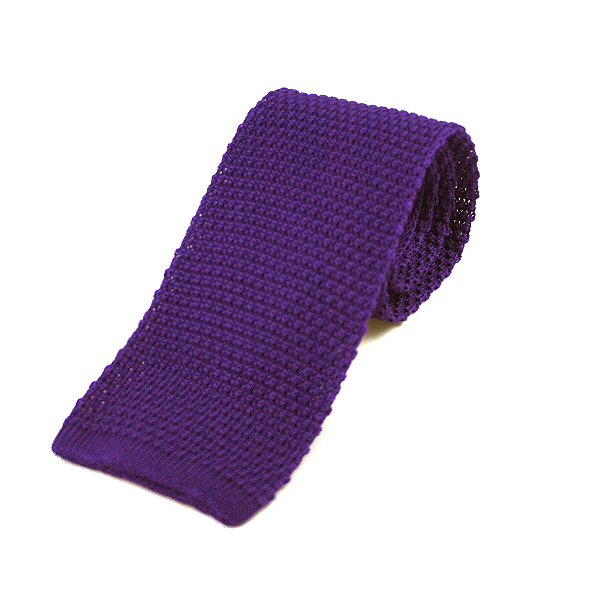 A classic knitted opulent deep purple (not harsh) silk tie with a neat square end. A very classy necktie. Made in the UK using the finest silks. Bright purple iridescent plain silk tie.